John Smith was born in Walthamstow, east London in 1952 and studied film at the Royal College of Art. Inspired during his formative years by conceptual art and structural film, but also fascinated by the immersive power of narrative and the spoken word, he has developed a body of work that deftly subverts the perceived boundaries between documentary and fiction, representation and abstraction. Drawing upon the raw material of everyday life, Smith's meticulously crafted films rework and transform reality, playfully exploring and exposing the language of cinema. 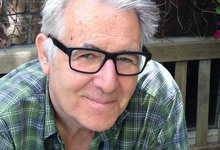 Smith's work has been widely shown in independent cinemas and art galleries around the world and awarded major prizes at many international film festivals. He received the Paul Hamlyn Foundation Award for Artists in 2011, and in 2013 he was the winner of Film London's Jarman Award. Recent solo exhibitions include Museum of Contemporary Art, Leipzig (2015); Tanya Leighton Gallery, Berlin (2015); Centre d'Art Contemporain de Noisy-le-Sec, Paris (2014); The Gallery, Tyneside Cinema, Newcastle upon Tyne (2014); Figge von Rosen Gallery, Cologne (2013); Kestnergesellschaft, Hanover (2012); Turner Contemporary, Margate (2012) and Weserburg Museum for Modern Art, Bremen (2012). His work is held in numerous collections including Tate Gallery, Arts Council England, Museum of Modern Art, New York and Kunstmuseum Magdeburg.